May 2014 Fish of the Month Entry - Canal Zander! May 2014 Fish of the Month Entry - Thornie Kayak! May 2014 Fish of the Month Entry - Cart Salmon! May 2014 Fish of the Month Entry - Swansea Sewin! May 2014 Fish of the Month Entry - Irish Pike! May 2014 Fish of the Month Entry - Double Bass! May 2014 Fish of the Month Entry - Savage Pike! May 2014 Fish of the Month Entry - Black Tench! May 2014 Fish of the Month Entry - First Trout! Wiley X Polarised Fishing Glasses @ GAC! May 2014 Fish of the Month Entry - Commore Blue! May 2014 Fish of the Month Entry - Golden Brown! May 2014 Fish of the Month Entry - Proper Perch! May 2014 Fish of the Month Entry - Pop Up Pike!! May 2014 Fish of the Month Entry - Mepps Perch! May 2014 Fish of the Month Entry - PB Pike! BIG Savage Gear Lures - Exclusive to GAC! May 2014 Fish of the Month Entry - Sound Skate! May 2014 Fish of the Month Entry - Pike in Awe! Attractants on Flies - Do They Work? May 2014 Fish of the Month Entry - Local Pike! May 2014 Fish of the Month Entry - Lomond Pike! May 2014 Fish of the Month Entry - Perch on Worm! What is the best fly floatant? 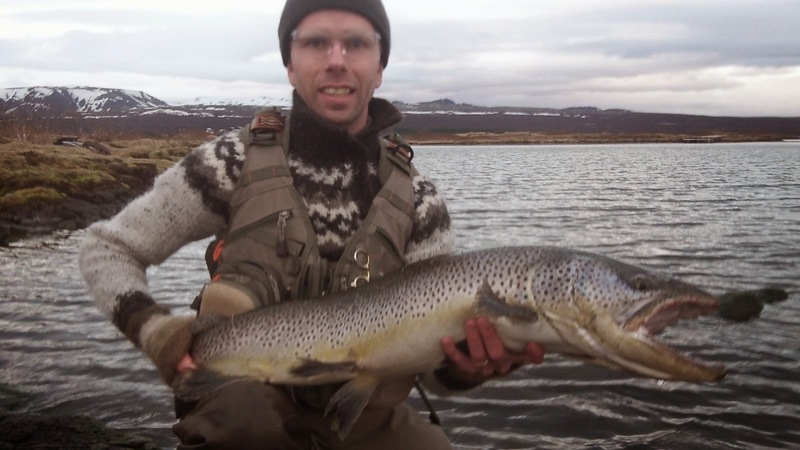 May 2014 Fish of the Month Entry - Icelandic Brown Trout! Saemundur Einarsson caught this monster Brown Trout from Lake Thingvallavatn on a White Nobbler pattern fished on a #6 weight rod and floating line! You can vote for this picture to win on Facebook by selecting it in our May 2014 FOTM gallery HERE and hitting the 'Like' button!